Investors and first time home buyers should focus their energies in Northeast Austin, as prices are incredibly reasonable compared to other parts of town. Ranging from the $100,000s to the $300,000s, Northeast Austin homes for sale provide a budget-friendly solution to living close to downtown. Northeast Austin real estate has seen a great deal of growth and expansion over the past 10+ years. Bordered by Parmer to the north, Highway 290 and 183 to the south, Highway 130 to the east, and IH-35 to the west - Northeast Austin is incredibly accessible for commuters and makes a great home base for business professionals. Characterized mostly by tranquil neighborhoods, Northeast Austin homes for sale provide a quiet escape just 12 miles outside of Downtown Austin. While also featuring nearness to city-style amenities, Northeast Austin real estate provides residents with close proximity to top employers, grocery stores, shopping, parks, and local amenities to satisfy your every need. View the selection of Northeast Austin subdivisions below, or read on to learn more about Northeast Austin real estate. Northeast Austin is an ideal area for those seeking affordable living with easy access to downtown. Homes for sale in Northeast Austin can be priced anywhere from the low $100,000s to the $300,000s, and offer a variety of property types to appeal to your specific needs. Northeast Austin’s walkable streets and relaxed atmosphere make it a dream community for young families, but singles and students are also attracted to the area for its affordability and nearness to downtown and the University of Texas. Most homes for sale in Northeast Austin have vintage roots from the 1950s-70s, now boasting contemporary designs and traditional or bungalow architecture. While single-family homes are prevalent, buyers can also find duplexes, multi-family units, and condos in the Northeast Austin area. Well-established neighborhoods like Copperfield and Harris Branch primarily feature older single-family homes, while newer properties and modern apartments can be found in areas like Parkside at Harris Branch, and Pioneer Crossing. Northeast Austin real estate is an excellent choice for up-and-coming professionals, particularly those interested in working in tech. This area is a hot spot for start-ups in the technology industry and home to established organizations like Samsung and Dell. Perfect for students of all ages as well, Northeast Austin is served by schools districts like Austin ISD and Pflugerville ISD. The Northeast Austin area has plenty of amenities to discover, including well-maintained city parks, retail shopping centers, and acclaimed medical facilities. The Tech Ridge Center includes an HEB, Target, and other popular retailers. Cross Creek Hospital, St. David’s Women’s Center, and Seton Northwest Hospital are also within a short distance of Northeast Austin homes for sale. Northeast Austin is home to Walnut Creek Metropolitan Park, one of the most popular parks in the North Austin region. Residents love heading out to Walnut Creek to hike or swim, while others head to The Center for basketball, rock climbing, or other fitness activities. Interested in learning more about Northeast Austin homes for sale? 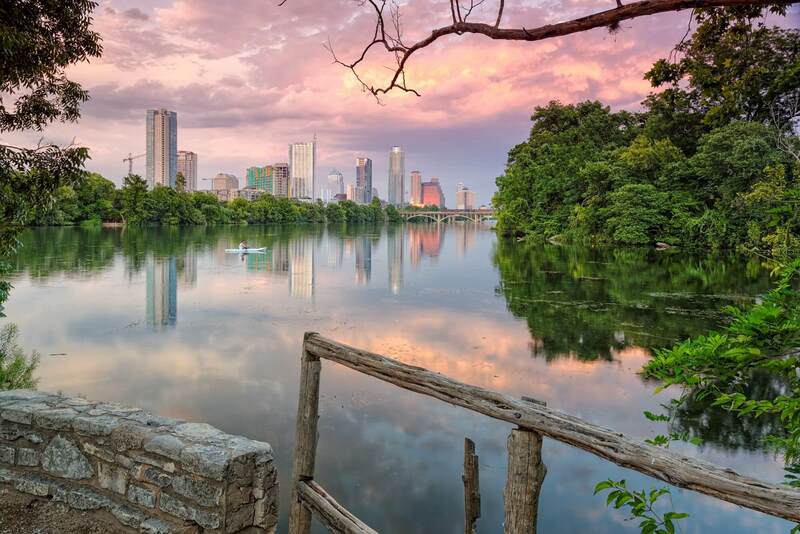 Connect with Monte Davis Realty Group Corp today to schedule a viewing and receive trusted assistance with all things Austin real estate.